Reboot of the video game inspired franchise. You can mock Paul WS Anderson all you want, but ask any large group of movie fans to name their favourite video game adaptations and you'll likely find his takes on Mortal Kombat and Resident Evil at the top of the poll. Granted, there's not much in the way of competition. 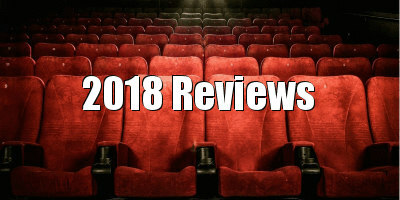 Ever since the release of Super Mario Bros. in 1993, Hollywood has consistently failed to justify bringing a video game property to the screen, with many game-based movies (mostly those directed by Uwe Boll) residing at the bottom of the Rotten Tomatoes rankings. 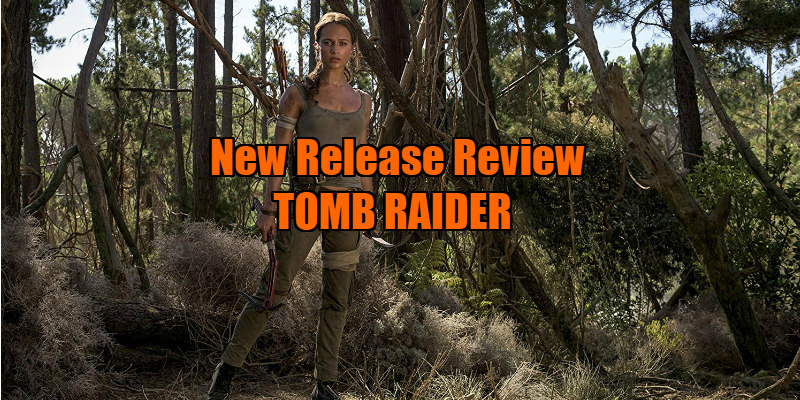 Directed by the wonderfully named Roar Uthaug, this reboot of Tomb Raider is far from the first great video game adaptation. It's not even particularly good. It's simply fine, which in video game adaptations means it's one of the best we've ever seen. Unlike the fully formed (stop sniggering at the back) version of heroine Lara Croft essayed twice by Angelina Jolie in 2001 and 2003, here Alicia Vikander plays the character in her origin story phase, eking out a living as a daredevil bicycle courier in London. As a young girl, Lara's adventurer father Richard (Dominic West) bid her farewell before disappearing somewhere off the coast of Japan. The time has come for Lara to admit he's gone for good and sign papers that will transfer his business, Croft Holdings, and the family estate, Croft Manor, to the care of Lara and her guardian Ana (Kristin Scott Thomas). During the reading of the will, Lara is presented with a final gift from her father - a Japanese puzzle box, inside of which she finds a cryptic message that reveals a secret room filled with artefacts of Richard's work. There she learns that he ventured to the elusive island of Yamatai in search of the mythical tomb of Queen Himiko. Pawning the jade necklace her father presented her with as a child, Lara sets off to Japan, enlisting drunken sailor Lu Ren (Daniel Wu) to take her to Yamatai. 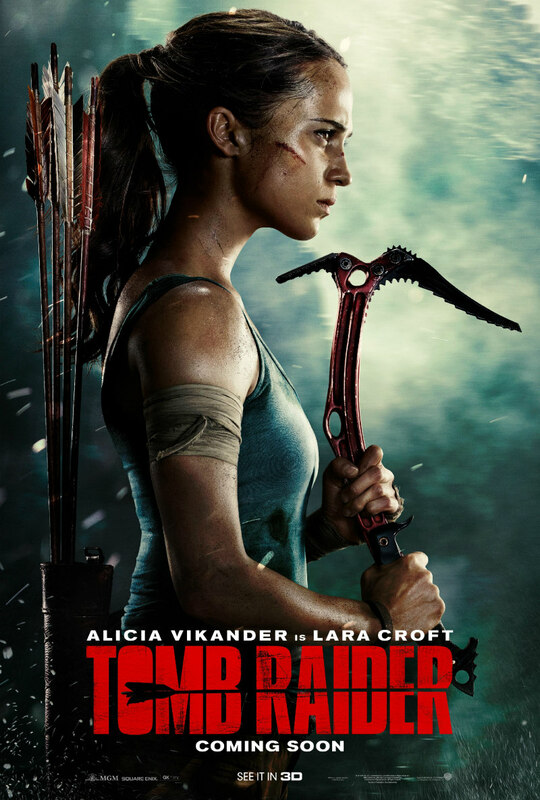 You don't expect an interesting protagonist from a video game movie, but Vikander and this reboot's take on Lara Croft is a compelling figure, played as a curious but winning mix of Nancy Drew and John Rambo. Vikander brings a charming millenial naivete to the pixelated heroine - here a stubborn kid with unresolved Daddy issues (one of several allusions to the franchise's primary influence, Indiana Jones) - while also fully convincing in the film's physical action sequences. There's an old school feel about Uthaug's take on the material, equally influenced by the derring-do serials of the 1930s as by the musclebound action flicks of the '80s. The director puts together a couple of thrilling set-pieces - an early bike chase through the crowded London streets and a later sequence involving the rusty relic of a WWII era bomber - that rely on a well choreographed combination of human movement and kinetic camerawork and editing; they're a welcome reprieve from the confusing, overblown CG spectacles of today's superhero movies. However, in the film's plodding climax we're reminded that it's 2018, as CG intrudes on the previously realistic action; and it's far from convincing, with Vikander tossed around in front of some poorly rendered greenscreen backgrounds. This Tomb Raider has a compelling figure at its centre, played by an actress who throws herself into the role with an infectious glee, but aside from a couple of bouts of exciting action, it struggles to find anything of interest for her to do, and the script is sorely lacking in some much needed humour. Still, there's enough to suggest that with a more cogent story, the Nordic duo of Uthaug and Vikander may have laid the foundation for a possibly successful new franchise. Tomb Raider is in UK/ROI cinemas now.